Most computer users do not realize that they use a modified version of the GNU system. Linux is the more widely used version of GNU. Most users may not realize that it is developed by the GNU project. Linux is only a part of the system. It is the kernel. It allocates the resources of the machine to other programs running on your machine. Even though it plays a major role in the operating system, it is not of much use by itself. Linux is used together with the GNU operating system. Most programmers understand that Linux is only a kernel. They may, however, be confused since the whole system is usually referred to as Linux. Others feel that when Linus Torvalds finished writing Linux, its users tried to find other free software to use with it, and discovered that everything necessary for making a Unix-like system is already available. There has been a dispute over the naming of GNU/Linux over the naming. Members of the open-source and free software communities do not agree on whether they should call an operating system that uses both GNU software and the Linux kernel a Linux or GNU/Linux. Those who support the use of the word Linux feel that it is a good choice because members of the public and the media are used to it. They argue that it is a generic word that describes systems which use that kernel together with software from many other sources. 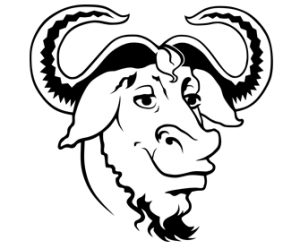 They argue that GNU alone would be an equally good name for GNU variants which use GNU operating system along with software from other sources. GNU is an operating system like Unix whose development first started in 1984. It features many programs including libraries, applications, and games. It allocates machine resources and communicates with the kernel. Its kernel is usually Linux. GNU is completely free software. Even though it was launched by Richard Stallman, many people worked to develop it. The goal was to give users of the software the freedom to take control of it. It is like Unix except for the fact that it gives its users freedom. The GNU system has all of the GNU software packages. It also has non-GNU free software including TeX and X Window system. The system is not just one set of programs. It allows its users to pick their packages depending on their individual needs and preferences. The main advantage of GNU/Linux is the freedom that it gives its users. Other benefits include stability and security. Users are not subjected to piracy charges and software audits. They are at liberty to customize their software based on their needs. Users can change their vendors depending on their needs. If, for example, you are currently using Red Hat Linux, you can change to Ubuntu Linux. The modern GNU/Linux systems are easy to install. Like most other free software, Linux runs efficiently. It can run on both new and older computers. It runs well on many IBM computers, Apple Computers, AMD personal computers, and more. Even though you may not necessarily want to use them, it is nice to know that you have the option. It runs on different hardware on various computers. GNU/Linux systems are interoperable. They work effortlessly with other operating systems. The systems are standards-based as they are founded on open standards. They allow you to have a choice over graphical user interfaces.